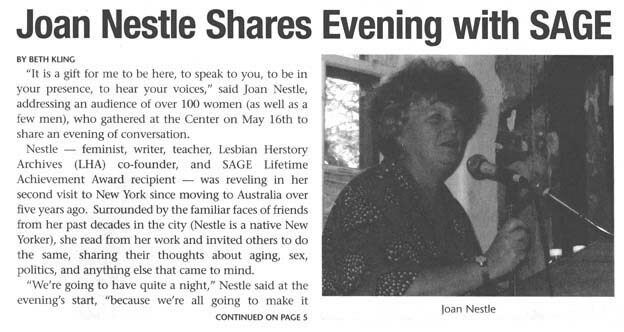 from SAGE Matters: The Newspaper on GLBT Aging, Summer 2005, pp. 1 and 5. 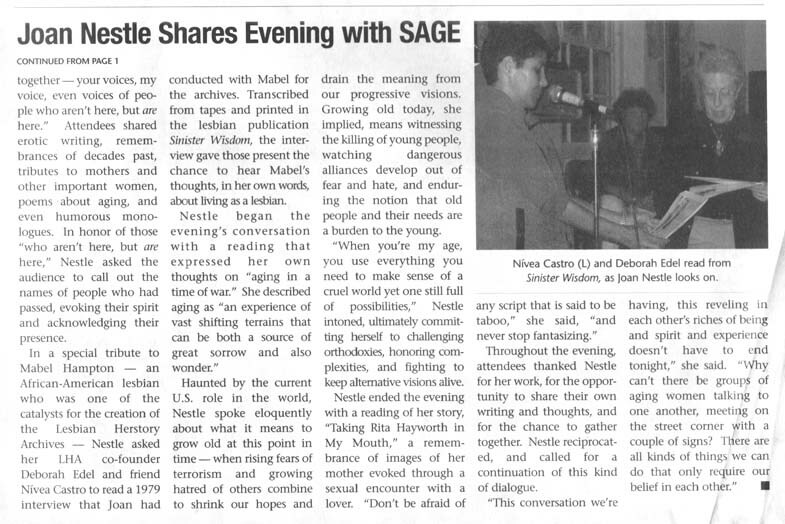 SAGE Matters is published quarterly by SAGE, Services and Advocacy for GLBT Elders, 305 Seventh Avenue, 16th Floor, New York, NY 10001, tel. (212) 741-2247. Visit SAGE (formerly known as Senior Action in a Gay Environment) online at www.sageusa.org.